Feel like you're in a funk? Blame it on the time of year. As many as 20 percent of Americans suffer from some form of winter blues (so nope, you're definitely not alone). Here are five ways the gloomy weather messes with your spirits. Fewer hours of sunlight means it's entirely possible that you wake up before the sun rises and leave work when the sun has already set. Talk about a buzzkill. There's a reason all the darkness gets you down: Light has the ability to fire up your brain's serotonin levels, just like an antidepressant does, says Norman E. Rosenthal, M.D., one of the leading experts on seasonal affective disorder (SAD). So the opposite—a lack of sunlight—means you're missing out on the happy neurotransmitter. Waking up can be a real drag when temps are below freezing and the sun hasn't peeked through the clouds in days. "There's a great temptation to just put the covers over your head and hibernate," Rosenthal says. That makes blowing off your regular morning workout sound really attractive, but skipping it can drag you further into sad mode since you'll miss out on the endorphins of a sweat sesh. It doesn't stop there, though. Even when you do finally pull yourself out of bed, you probably can't shake the tiredness. A study published in Emotion compared the daily diaries of 1,233 people with weather reports and found less-than-ideal temperatures, winds, and hours of sunlight put some people in bad moods. The lack of sunlight specifically made them more tired, most likely because levels of sleep-inducing melatonin are higher on short days. You know those times when you're in a daze staring at the computer screen at work without really getting anything done? It could be the result of the low energy that hovers over you from Halloween until spring. Before you know it, you could fall behind on your work. Pair that with an uptick in anxiety (thoughts like "I'll never be good enough" seem to creep up this time of year, Rosenthal says), and it's no wonder you're a stress case. What's worse, it's tough to break out of the cycle since stress makes seasonal affective disorder worse, and seasonal affective disorder makes you less able to cope with stress, Rosenthal says. Oy. Remember in the peak of summer when you wanted to hit an alfresco happy hour every day after work? Those feelings are long gone when cold weather puts you into hibernation mode (miss you, piña coladas!). "You don't want to socialize, you want to withdraw from friends and family, and you tend to sort of close yourself off to the outside world," Rosenthal says. It's a vicious circle: You have no energy, so you flake out on your dinner plans and stay home, even though socializing would have made you feel better, Rosenthal says. Rosenthal calls it "cognitive slacking off." You likely aren't doing your best work this time of year because you just can't focus or think straight. 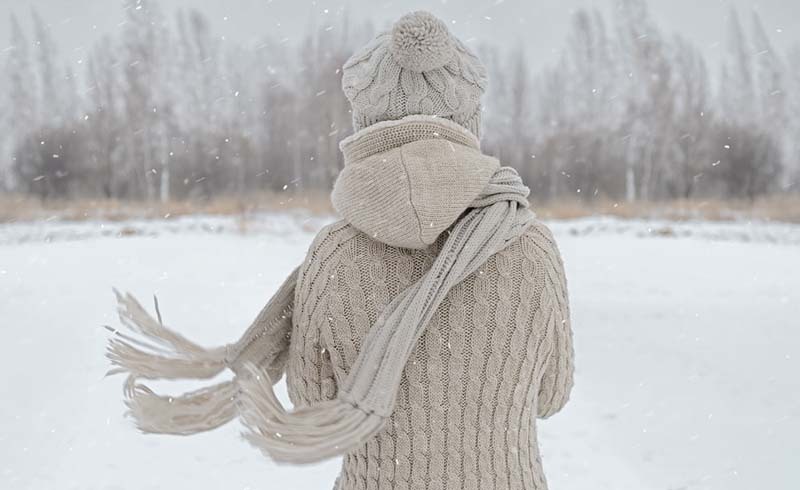 A study published in the Proceedings of the National Academy of Sciences tracked brain activity during each of the four seasons and found that in the winter, study participants performed the worst on a task requiring sustained attention. If you're facing general winter blues, you'll find it harder to get things done. "You'll continue to produce, but it's harder, it's a drag, you don't feel like you're doing your very best work, so it's cutting into your productivity and your creativity," Rosenthal says. 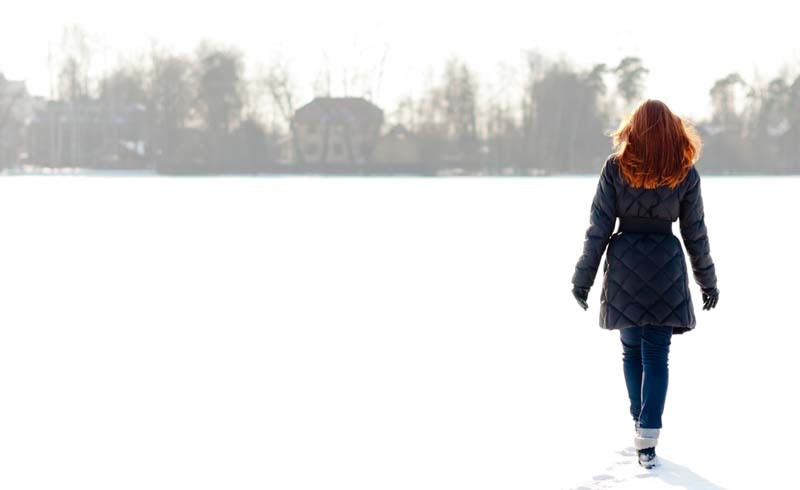 If the symptoms worsen—you're not sleeping or you're completely unable to work—you may be one of the 5 percent of people with seasonal affective disorder. Your risk depends on the climate where you live (about 1 out of every 10 people in New Hampshire have SAD while only 1 percent of Floridians do), but other things can play a role, such as whether you battle depression and your gender. Women between ages of 20 and 40 are twice as likely to have SAD than men. How unfair is that? If winter really bums you out, try to find the bright sides of the season: the beauty of freshly fallen snow, cozy afternoons by a fire, insanely comfortable oversize sweaters. "There's a lot to celebrate in the winter once you get your symptoms under control," Rosenthal says. Not convinced? At least there's this silver lining: "When spring comes, it all tends to get better," he adds.